The flashlight is quite a helpful item to have around, especially when you are in a low light environment. Its light shall illuminate the proximity area and improve your vision substantially without fail. However, it’s not easy to pick a quality flashlight since there are way too many choices to choose from. But in the case all you want is a nice all round product, the best 18650 flashlight should be able to satisfy your demand. 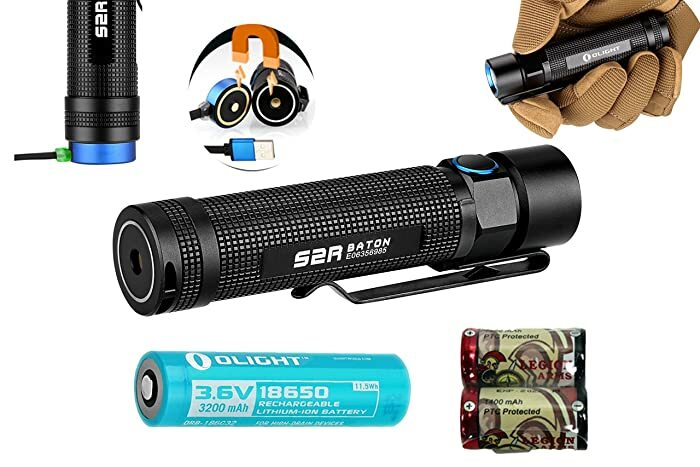 Down below is a comprehensive guide on how you can buy a suitable 18650 flashlight along with a couple of excellent examples for your consideration. Take a good look at them in order to make a wise purchase. If this is the first time you hear about the 18650 flashlight, here is a quick summary of its characteristics. “18650” refers to the approximate dimension of the battery: 18mm in diameter and 65mm in length. 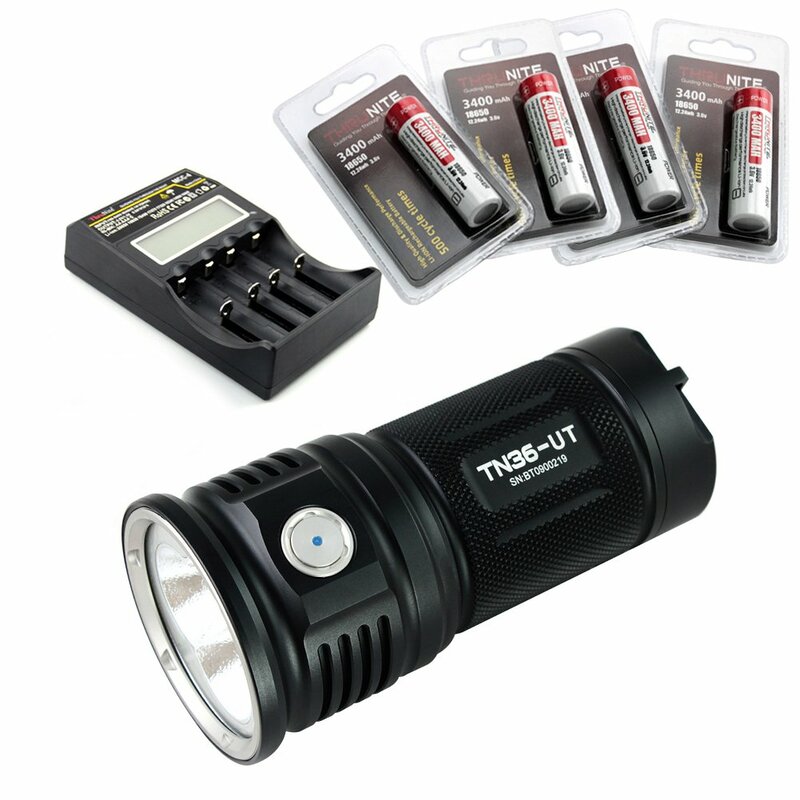 For its power source, the average flashlight commonly uses one of three batteries: AA, AAA and 18650. In term of output and runtime, the 18650 battery prove itself as the superior option for your flashlight. A single rechargeable 18650 battery is equal in power to three disposable batteries. While AA powered flashlights remain popular, people that want to have a dependable light source should definitely switch to a 18650 model. 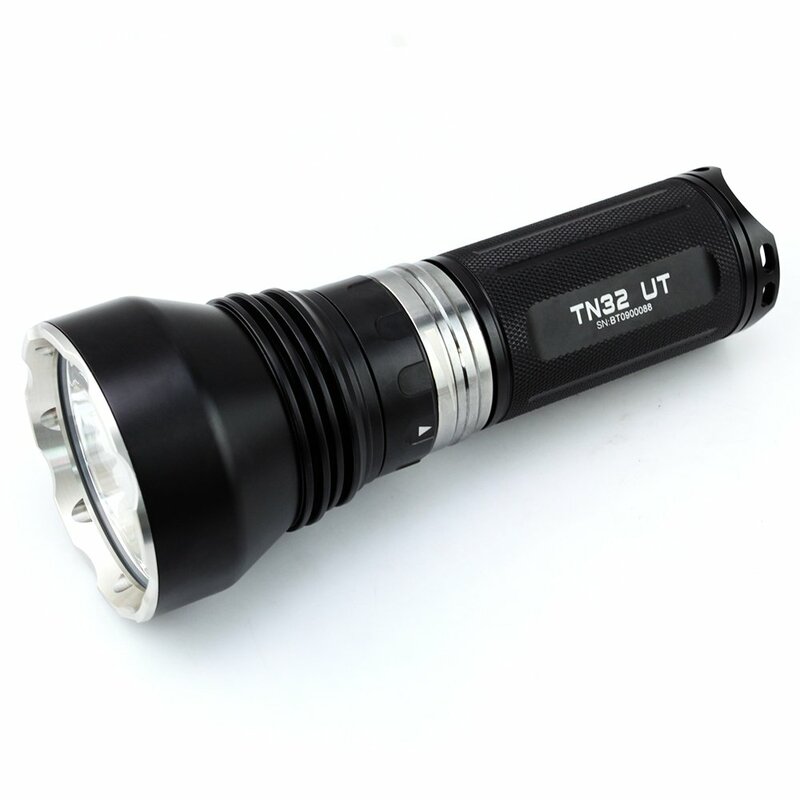 Powerful and versatile, the ThruNite TN12 is truly the best single 18650 flashlight around thanks to its excellent performance. People can use it conveniently for a wide range of purpose from hunting to camping. Its water resistance level is rated at IPX – 8 which mean it still function properly after being submerged for half an hour. 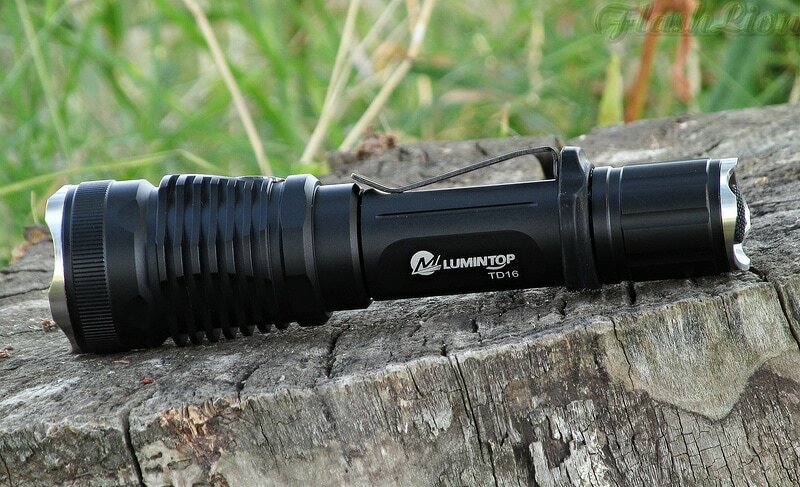 In term of impact resistance, you can drop the TN12 on the ground from 1.2 meters without damaging the flashlight. The use of high-grade aluminum and hard-anodized finish result into a very sturdy construction. TN12 possesses a total of 5 light settings: Turbo, Strobe, High, Medium, Low and Firefly. At the maximum output, the beam can reach out to a considerable distance of roughly 220 meters. Running the flashlight on the highest operating mode often make it overheat in around 10 minutes though. The brightness of the Firefly setting is comparable to moonlight, the battery could last for more than 2 months on this mode. Located at the tail section is the On/Off switch, gently press it to activate or deactivate the flashlight. Manipulate the side switch to use the light setting you want. Accompany accessories include 2 spare O rings, 1 pocket clip, 1 tail cap, 1 holster and 1 lanyard. 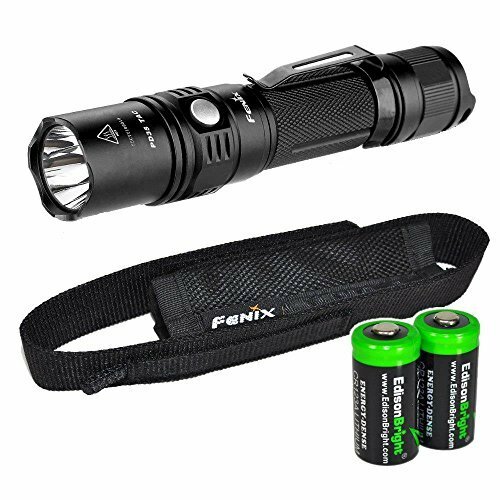 Featuring fantastic qualities at an affordable price tag, the PD35 from Fenix is one of the best cheap 18650 flashlights you can get. With a compact profile and little weight, you are able to effortlessly carry the flashlight everywhere you go. As a pocket-sized product, the PD35 pack a competitive maximum output compared to other full-sized flashlights. The surface of the flashlight is anti-roll, slip-resistant so the general handling is quite simple. Thanks to the polarity protection, the product is well protected against incorrect battery installation. Another great feature of the PD35 is its intelligent memory circuit that engages the previously used mode when you activate the flashlight. There are 6 operating modes available at your disposal: Turbo, Strobe, High, Medium, Low and Eco. Beside those, the flashlight also provides a tactical function as well with 3 simplify operating modes: Turbo, Low and Strobe. On the highest light setting, the battery only last for more than an hour. However, the maximum runtime of the battery may reach up to 2 days if you use the flashlight on Eco mode. The water resistance level of the product is IPX – 8, its impact resistance is approximately 1 meter. There are 6 light settings for you to choose: Strobe, Turbo, High, Medium, Low and Moonlight. The beam is able to reach a distance of 285 meters at the highest operating mode. In term of energy source, the TN36 UT utilize up to 4 18650 batteries. They are enough to sustain the flashlight for around 2 hours on Strobe or Turbo. At the moonlight setting, you can use TN36 UT for a month before a battery change is required. With certified IPX – 8 water resistance level and 2 meters impact resistance height, it’s a really tough product. Olight is a well-known band due to its excellent products and the SR52 Intimidator is not an exception. 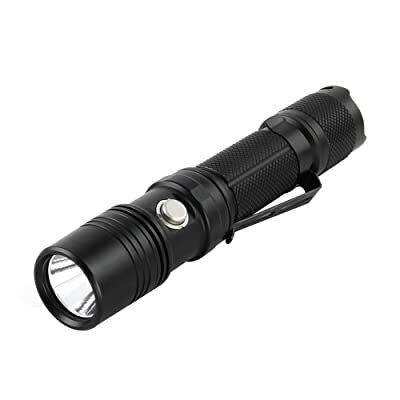 At the maximum output, the flashlight could achieve a beam distance of 800 meters, more than enough to guide your way. The helpful memory feature allows the flashlight to return to the last used light setting whenever you turn it on. A lockout function is also present as well in order to prevent accidental activation which may drain the batteries. Thanks to the glowing O ring at its head section, it’s a simple task to find the SR52 Intimidator in total darkness. The presence of the built-in charger port means you can recharge the SR52 Intimidator batteries while they are still inside the flashlight. An indicator should notify you when the charging is completed, another indicator would signal the user when the batteries are nearly depleted. With the use of premium aluminum and stainless steel in its construction, the flashlight is capable of handling lots of abuse. Besides the flashlight itself, you will be provided with a holster, an adapter, a charging cable and a user manual. Employing a copper circuit design, the TN32 heat dissipation rate is much better compared to its cousins. While its size is fairly humble, the flashlight could throw its beam out to roughly 1,040 meters, an impressive distance. The TN32 ergonomic body and lightweight allow almost everybody to carry it around with ease. 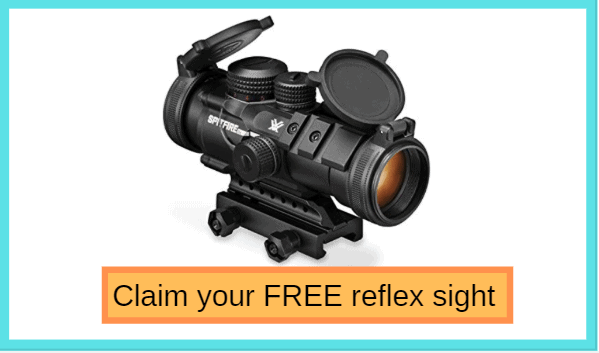 It’s a great item for self-defense, tactical purposes, camping, hunting and so on. The ultra clear lens combine with the anti-reflective coating produce a bright beam that effectively illuminates your surrounding. With a timer function, the S2R offers the users many ways to make use of the flashlight as they see fit. There are tow countdown features available: 3 minutes and 9 minutes. 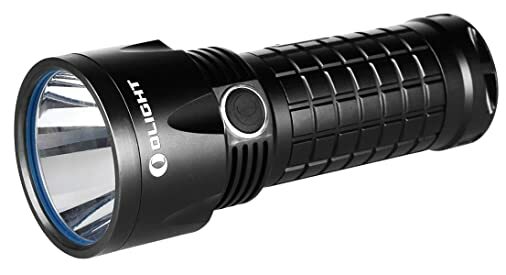 The maximum output is 1,020 Lumens and the longest beam distance is 150 meters, quite good given its compact dimension. Since the flashlight profile permits high mobility, you can bring the S2R wherever you go. The innovative charger dock with USB port let you recharge the battery without having to take it out of the flashlight. Individual preferences and personal tastes vary a lot from person to person. Some people may feel particular features are quite useful while the rest could think they are more or less redundant. That is why it’s advised to incorporate your own needs and requirements into the selection process. The article shall provide you with several recommendations but in the end, it’s entirely up to you to make the final decision. Buying on a whim without thinking ahead might cost you a good amount of money for a less than ideal product so be careful. Never proceed with a purchase unless you are certain that the flashlight you choose is up to specs. You don’t have to use the maximum output of the flashlight at all times so multiple light setting is really convenient in case you want to save battery. High-end products could include a strobe setting to distract attackers and animals or even serve as an SOS beacon. Some of them are capable of standing upright on their own which is quite handy if you are in need of an emergency lamb. Adjustable beam intensity is essential because a blindingly bright light is not always necessary. You need the right level of illumination to suit each situation. There is no reason to go after a fragile and flimsy flashlight which can’t handle slightly rough uses. For most of the time, careless handling or simply a slip of hand would make the flashlight fall straight down to the ground. It’s hard to say you can completely prevent such things from taking place, hence, impact resistance is a must. The manufacturer usually conducts an endurance test on their products by dropping them onto hard surfaces from different heights. After that, an impact label measured in meter shall be attached to the product container. Water and chemical resistance are also important factors to consider as well. bright beam as well. Given the fact that you probably want your stuff light and mobile in a trip, a compact flashlight is surely not a bad idea. The ruggedness of these products is quite good thanks to their innovative construction and clever use of advanced resistance materials. When you are tumbling in total darkness, you want a flashlight that can get up and running in a blink of an eye. Complicated control layout and alike are what you must try to avoid at all cost. Useful features like lanyard hole or nonslippery surface are a major plus since they improve the handling of the flashlight. Check out the product warranty, it’s a proof of the manufacturer confidence in the flashlight quality. In the usual case, you don’t have to buy the most expensive product on the shelf. Don’t waste your money on top of the line flashlight if all you need is a practical EDC product. While you can choose any product you like, famous brands tend to offer the nicest options around. You should keep an eye on names like ThruNite, Olight, Fenix, Anker and Streamlight. If you want to get the best 18650 flashlight then do take your time to check out the products of these guys. And those are some of the best 18650 flashlights money can buy, see anything you like yet? It’s not easy to make a good purchase when you know little about market products and available options. But with the help of the information, you should have a good idea of what is a good flashlight and make up your mind accordingly.